Do you have a passion for yoga with a committed practice and a desire to share it's benefits with children?! If you've felt the transformational effects of yoga in your life and work with, or want to work with children, then this course could be for you. Open to all yoga practitioners and teachers, this is a comprehensive 5 day training course, that will enable you to teach yoga to children aged 4-11, in and out of school, with confidence and enthusiasm. Learn how to safely and effectively teach 'real yoga to kids', in an inspiring, engaging way that kids love! 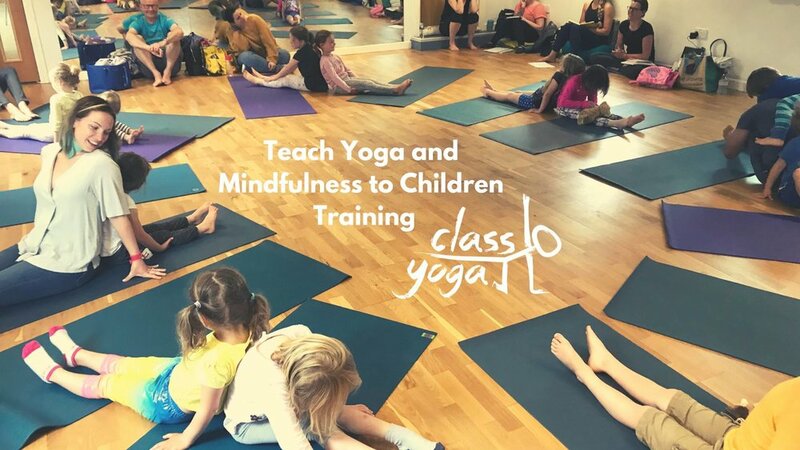 Our Teach Yoga and Mindfulness to Children, Yoga Alliance Accredited Certified 60 hour Training Course, provides you with the skills, confidence and knowledge to teach yoga to children aged 4-11, in and/ or out of the school setting. - Or, set up your own business teaching yoga to children in and out of schools. If you’d like to chat further - contact Ian either at the Studio after class or davisian@me.com / 07973 135089 - www.orangeyoga.co.uk/class-yoga-teacher-training/.